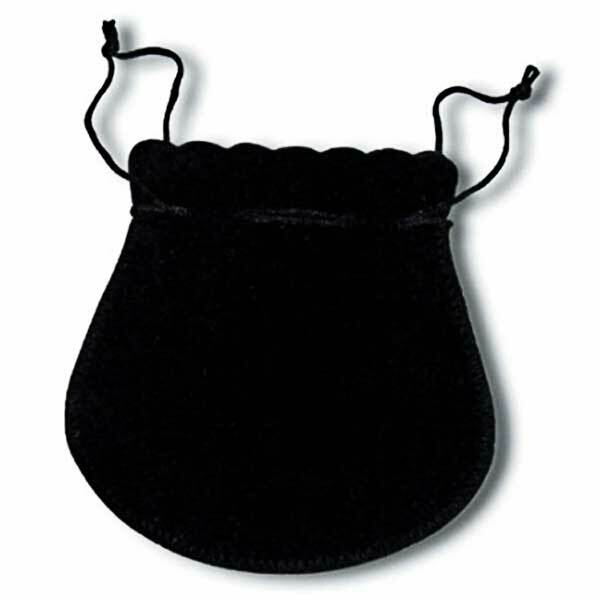 Our black velvet pouches are perfect for coins, medals and gift packaging. They have a scalloped edge and are teardrop shaped. Capable of holding coins up to 45 mm in diameter. Size 90 x 80 x 10 mm.